I adore GLEE it's a big ol' hot mess with showtunes. It's a cartoonish, stylish often surprisingly moving depiction of a group of high school misfits in an Ohio Glee club. 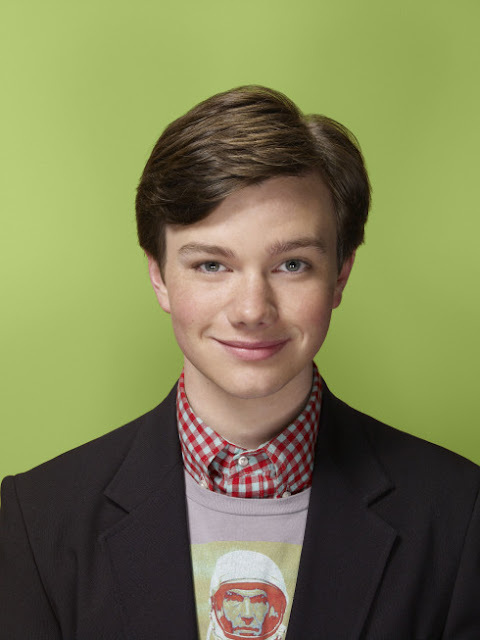 Chris Colfer plays the sassy sometimes scheming gay boy Kurt Hummell. I liked the show immediately but as with any creative and interesting show on television that is not a about cops/lawyers/rescue personnel/hospitals I assume it'll get cancelled soon. I enjoy how wrong I've been about Glee so far. But these two interviews solidify my love of actor Chris Colfer. Adorable and really really funny. Also, Chris is from Clovis, which is to Fresno (where I moved from) as Beaverton is to Portland. Which means that we likely did theatre with the same people. But, I teach college and he's famous. He may have gotten the better deal.